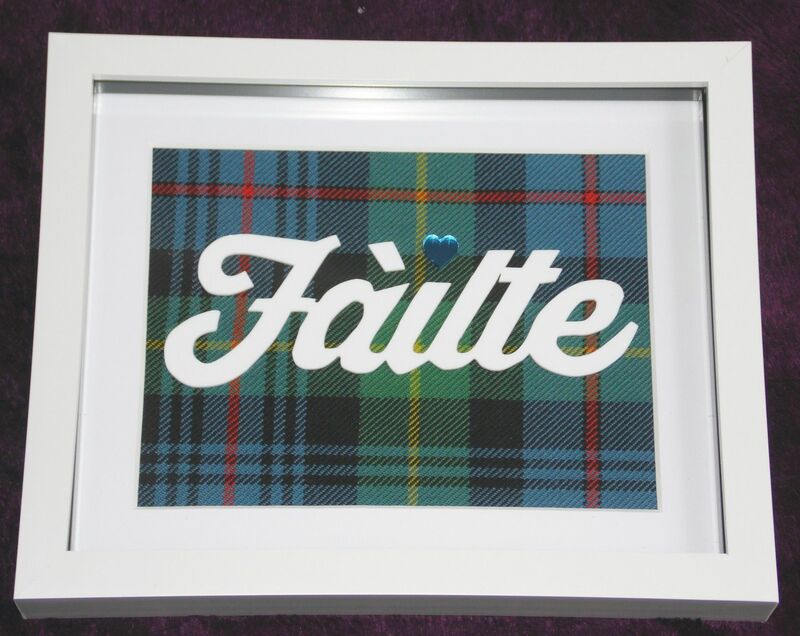 Saltire Custom Creations Fàilte Fàilte, which means 'Welcome' in Scottish Gaelic.Our latest acrylic frame design to join our store as requested by a customer.This design comes in a 10" x 8" white box frame which can be wall mounted or free-standing as is available from a wide selection of tartans.Please allow 7-10 days from ordering till shipping. 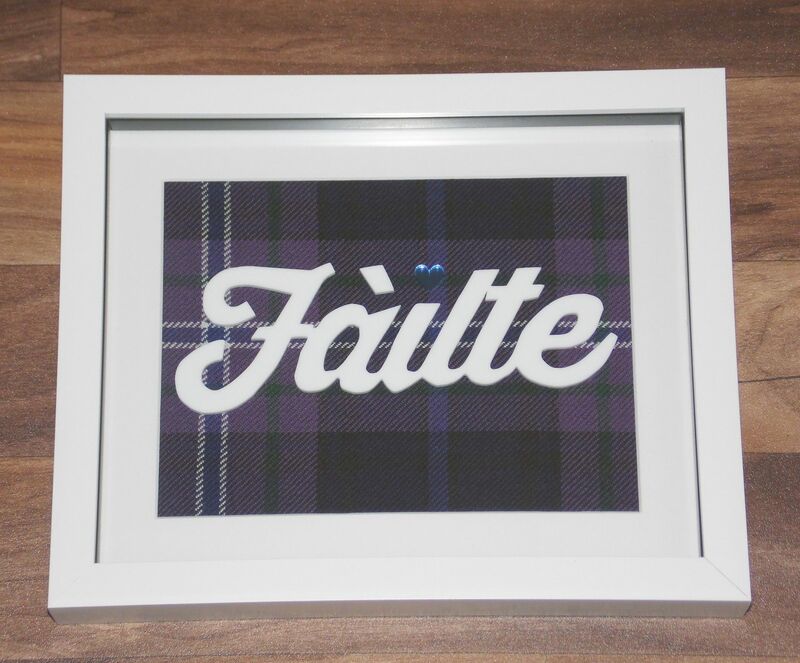 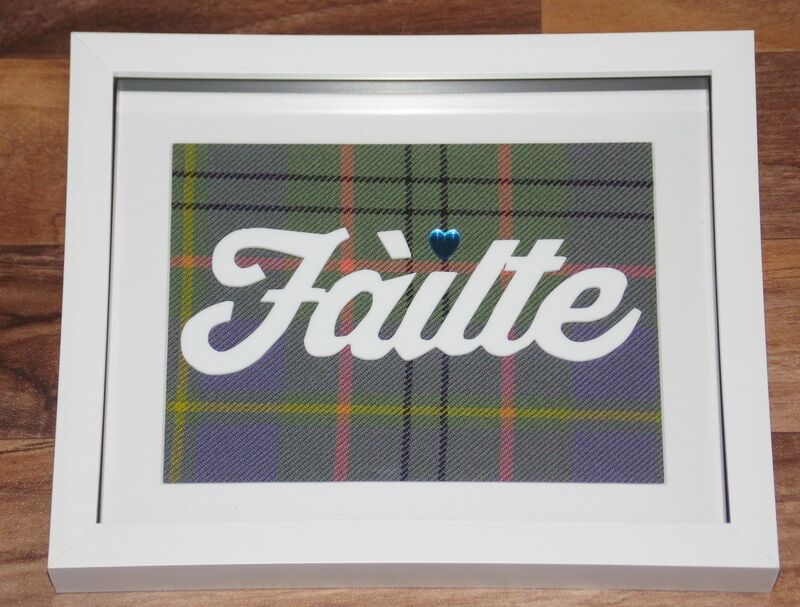 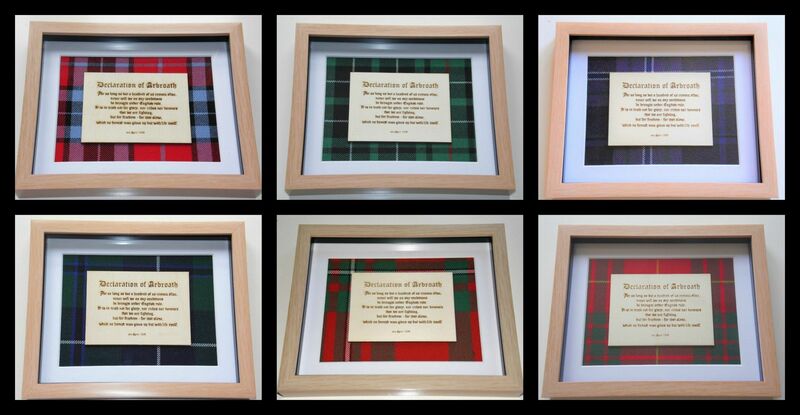 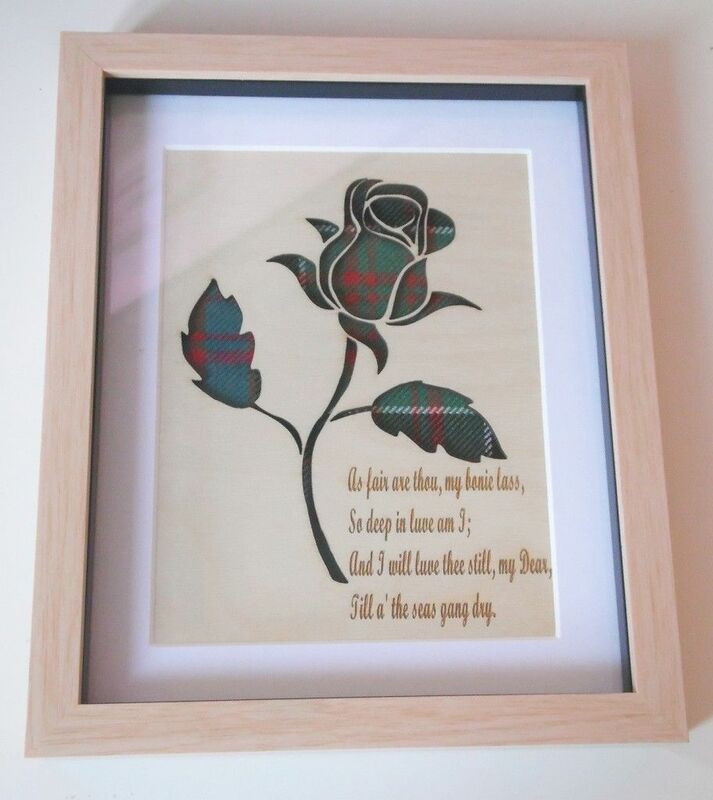 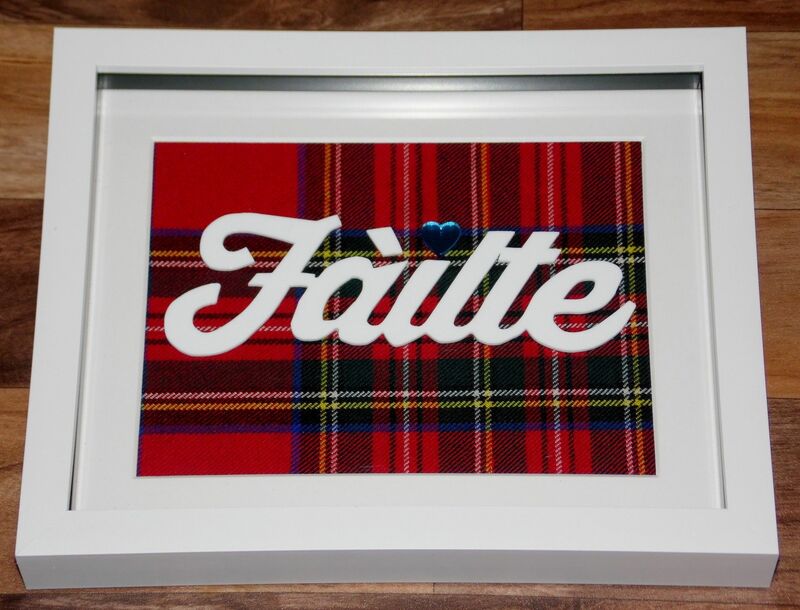 Fàilte, which means 'Welcome' in Scottish Gaelic.Our latest acrylic frame design to join our store as requested by a customer.This design comes in a 10" x 8" white box frame which can be wall mounted or free-standing as is available from a wide selection of tartans.Please allow 7-10 days from ordering till shipping. 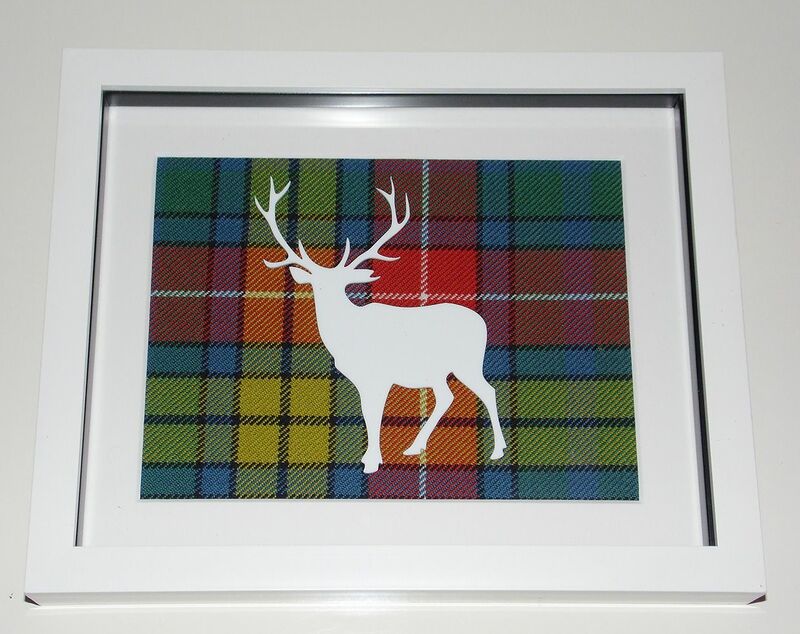 Acrylic cutout of the magnificent Stag on the tartan of your choice.Box frame measures 10" x 8" and can be wall mounted or freestanding.